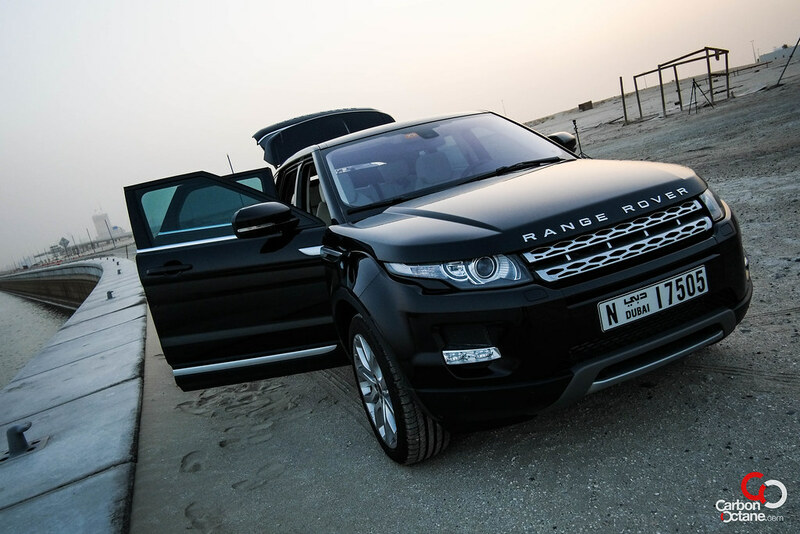 The Range Rover Evoque is a bold step for the Land Rover Group. It’s almost identical to the LRX concept which is jaw dropping gorgeous, but can it take on the Teutonic Trio, the likes of the Audi Q5, BMW X3 and the Mercedes GLK? 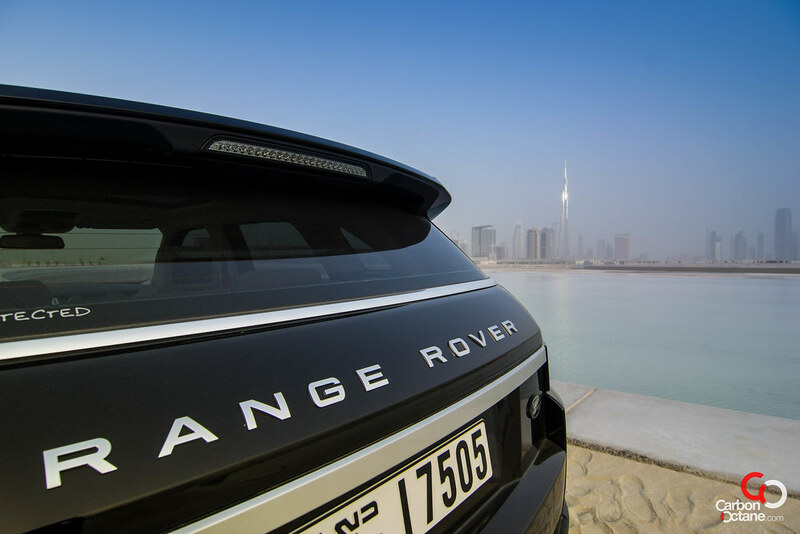 The Evoque takes its root from the Land Rover LRX in 2008, a concept designed by Gerry McGovern, the company’s newly appointed design chief, to cement his mark into the world of automobiles. The marketing team of the group went into overdrive in its effort to prove that a small utility vehicle could be as chic as a super model while functioning as an urban utilitarian vehicle. 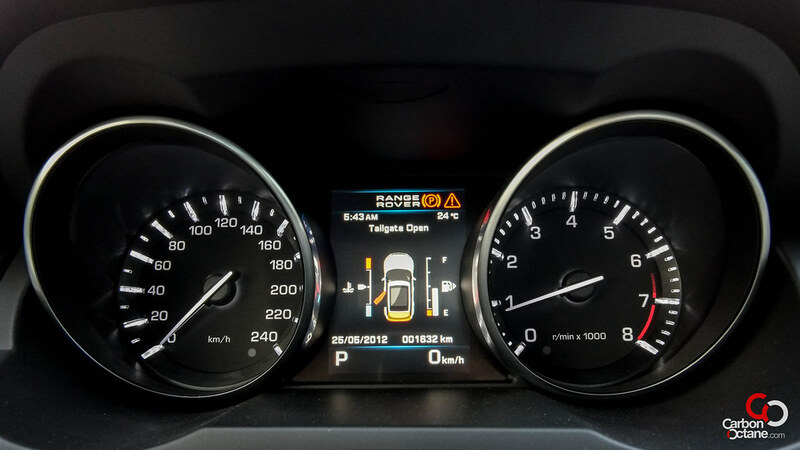 We would have thought that the power would come from V8, the brand has been known for its V8 engines after all ; however it’s the Ford EcoBoost four banger which drives the Evoque. With 240hp and 251lb/ft of twist, the 2.0 Litre direct injection turbocharged four cylinder plant, the figures are not mind shattering either. So now we ask ourselves, does the Evoque have what it takes to conquer the younger and more adventurous consumer segment? Our test mule was the 4 door variant, the other being offered is the 2 door format, a coupe if you would want to call it that. The Prestige model comes loaded with all the luxury amenities that we expect these days. 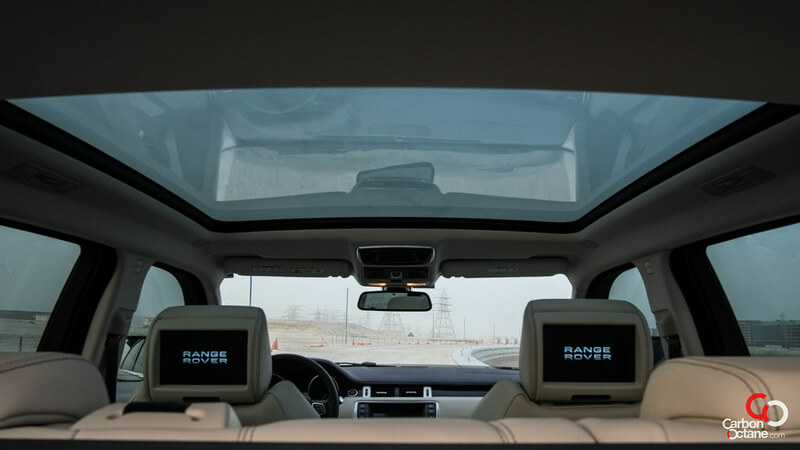 It also comes with complete glass roof. 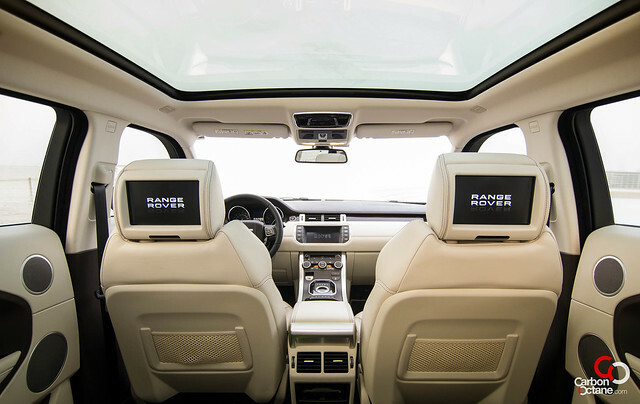 Once inside the Evoque our sense of space seems to stretch. This car is rather big on the inside. It seats 5 people quite easily and rather comfortably as well. 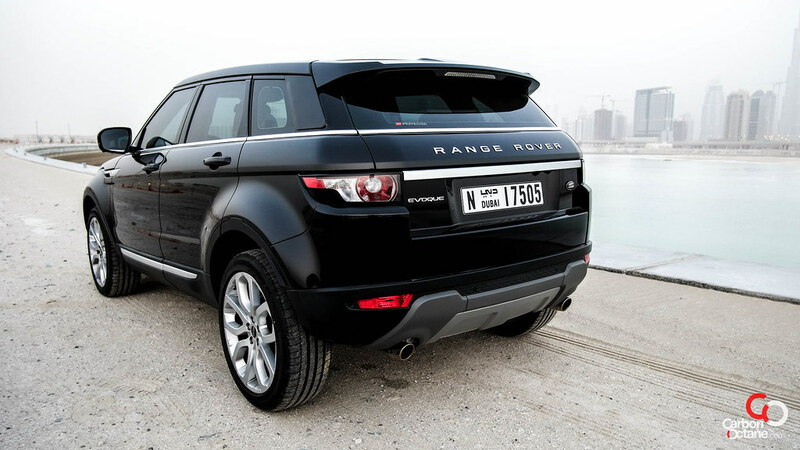 The dimensions of the Evoque are just right to maneuver in tight parking spaces of the underground office parking spaces or the malls. How can we forget the looks, it just turned heads everywhere we went. The LED accent lights around the head lamp, the gorgeous body and contrast color of the roof line just added to the appeal of the Evoque. Inside, you could see that there is a lot of sharing pf parts from the Jaguar Land Rover Groups assembly line. 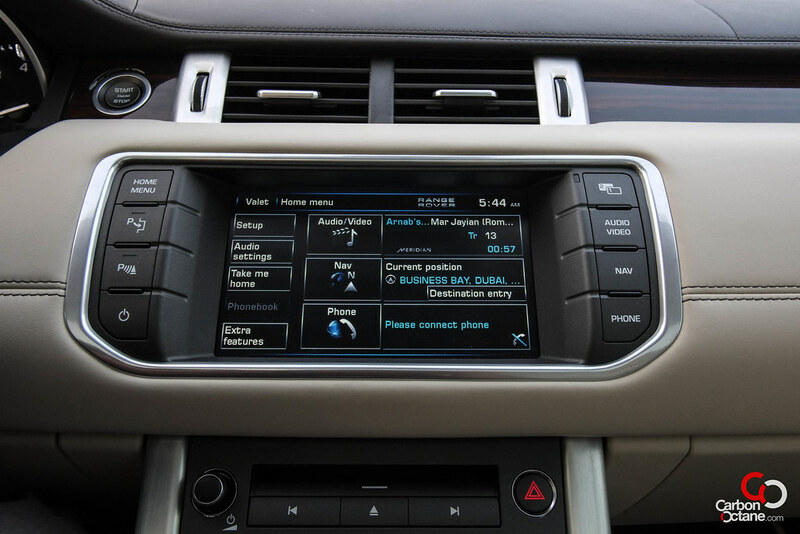 The gear knob, GPS and some buttons are spread across the Group’s lineup. This is quite expected and gives a sense of familiarity once inside the vehicle. Now we get on to the soul of the Evoque. It is not slow by any means, it does sprint to 100kmph rather fast thanks to its turbocharger. But once the dynamic mode is engaged we are talking about a whole new experience. 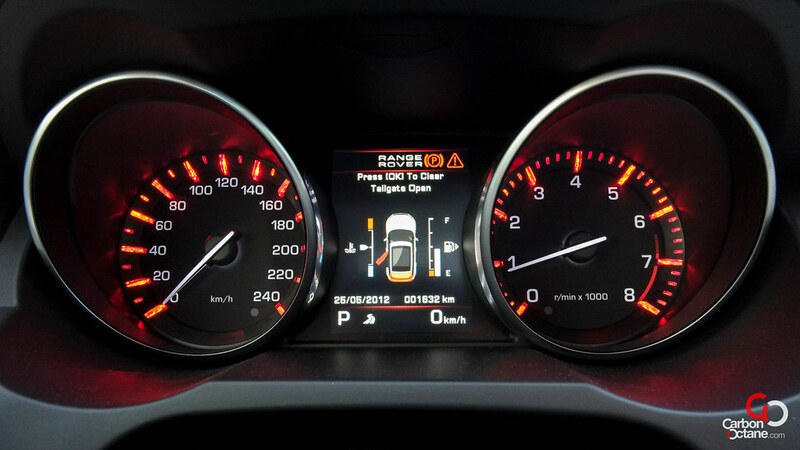 First of all the white dials of the speedo change to red as does the ambience interior light of the car. 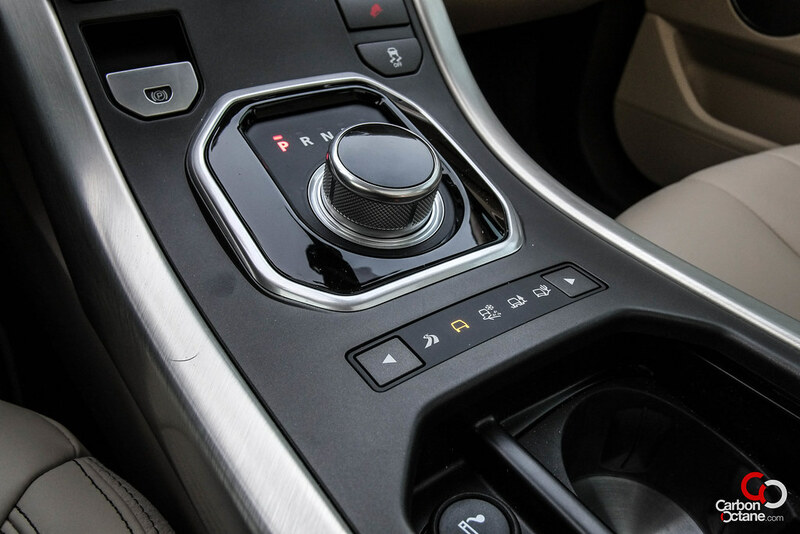 The gear shifts becomes crisp and precise with no jerkiness attached to it. 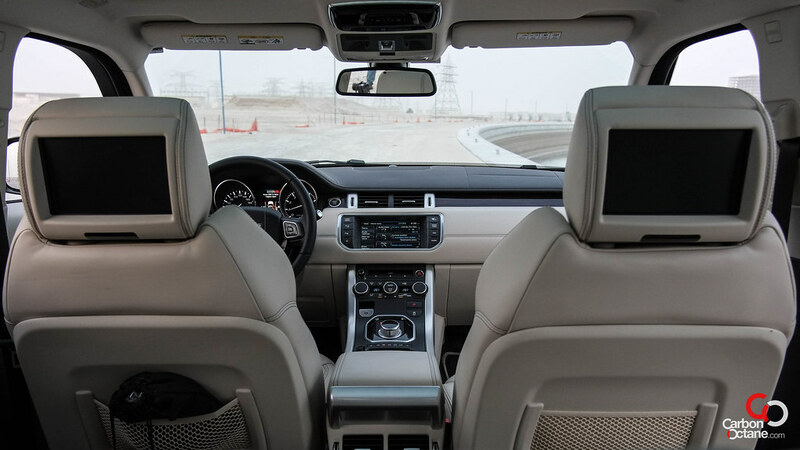 One can also feel rather adventurous and take on the pedal shifts which gives more control and allows the Evoque to use the power band better, not to mention the ability to downshift quickly while approaching a bend or stopping at traffic lights. It is quite engaging. The chassis is sorted and, at least on the road, allows confidence in pushing it around tight corners without much body roll. Are we driving a small SUV? This feels more like a hot hatch – It’s that fantastic. 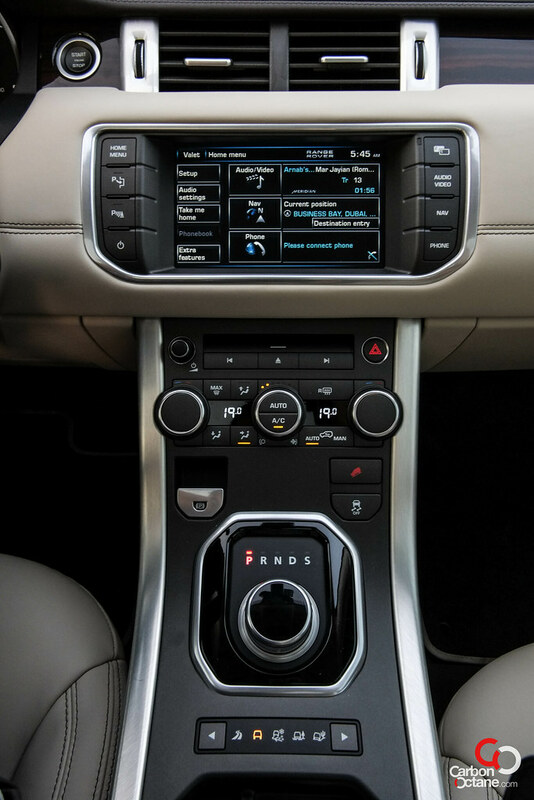 The brakes are strong and gives a lot of feel which is a good thing but the electric rack and pinion steering, while it makes the Evoque turn in fast, lacks in feel. 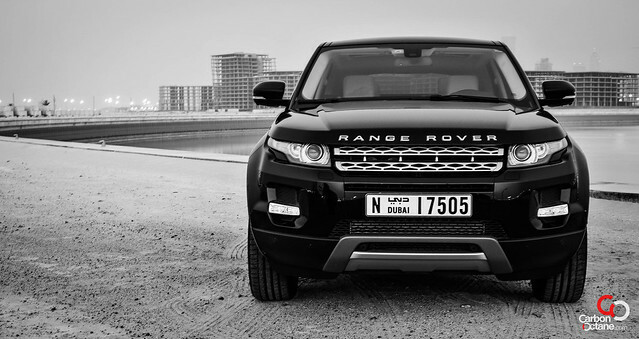 But we tell ourselves, how many of us really want to explore road grip in a SUV, not many! 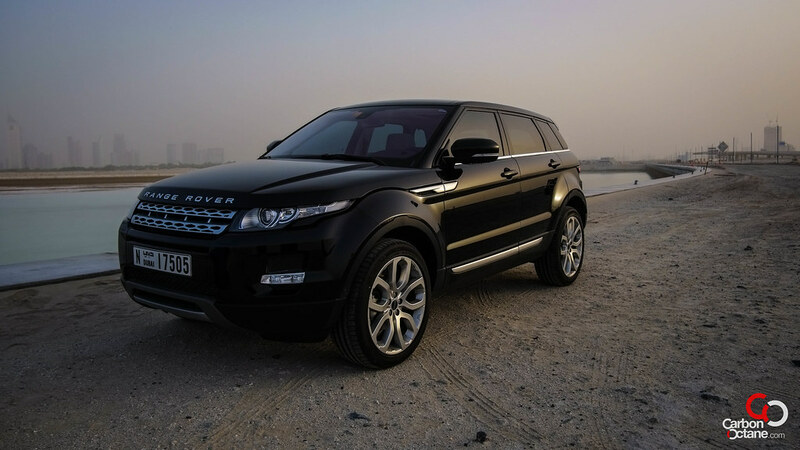 At AED 245,000 the Evoque is competing with some very strong contenders. It does come out with all guns blazing and will give a fair fight, but sometimes it’s the little things which matter that makes it count. 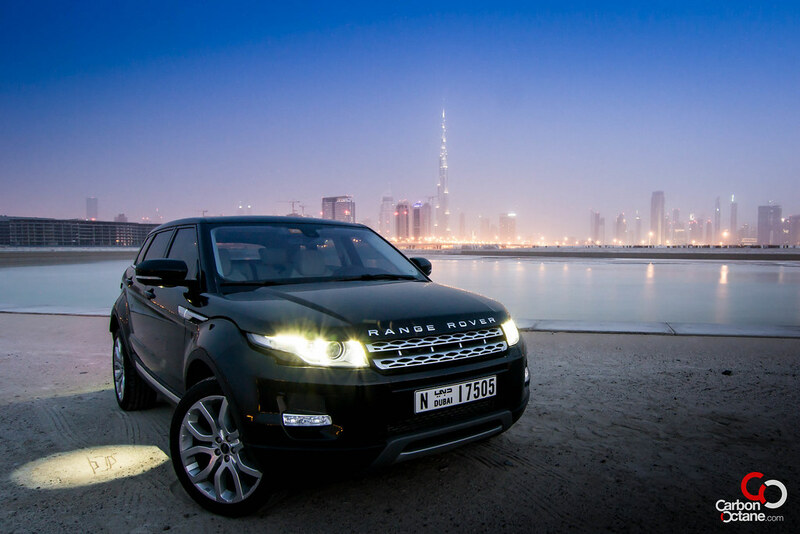 At night, when the Evoque is unlocked it lights up the road just next to the front doors. 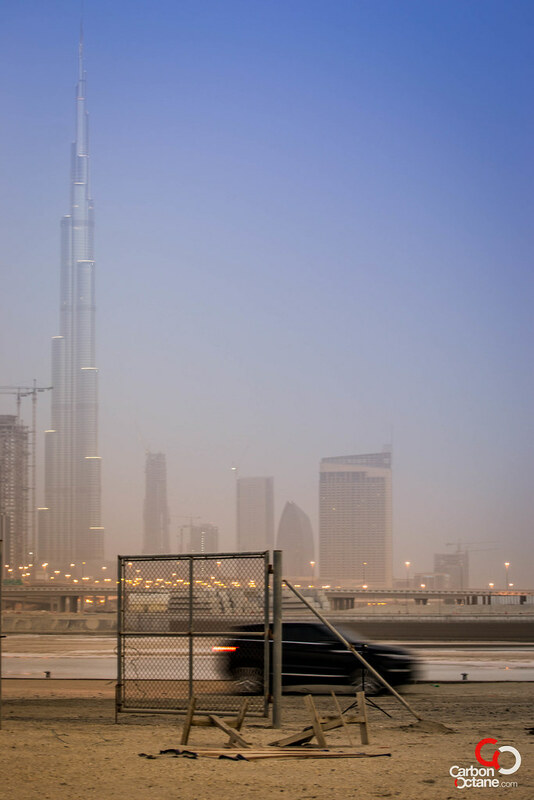 If you look carefully, you would see the silhouette of the Evoque. It’s like Batman’s call sign. 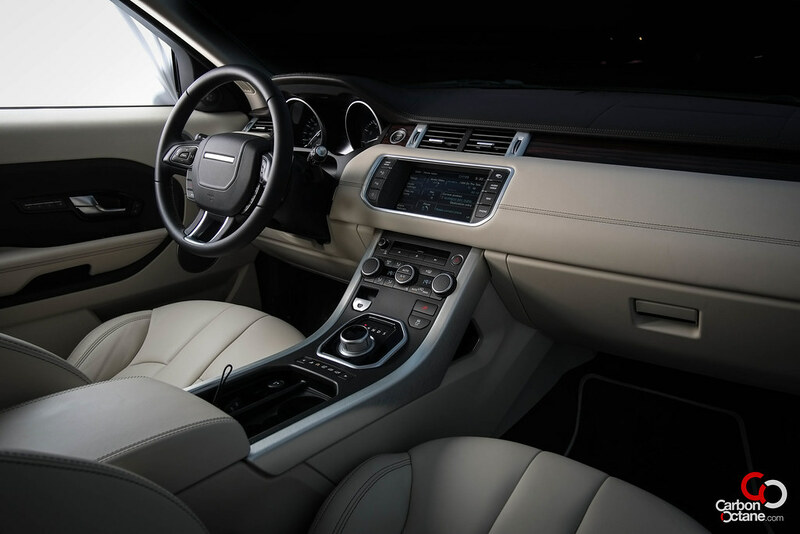 Such attention to detail is what makes the Evoque rather special. And one tends to wonder, what more secrets does it hide. Well, we think, you would need a long time to figure out its secrets!